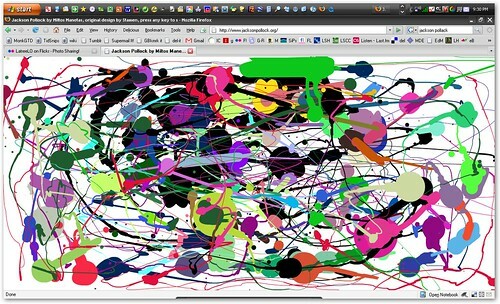 jacksonpollock.org, originally uploaded by gitsul. move your mouse to paint. click your mouse to change colors. highly fun and possibly addictive.